The silver rock star with the long, perfect hair, jack necked, and is cool looking. Full brother to the $26,000 Nick bull from the 2013 First Class Bull Sale and to the champion heifer of Nick Sullivan’s at the 2010 Iowa State Fair. 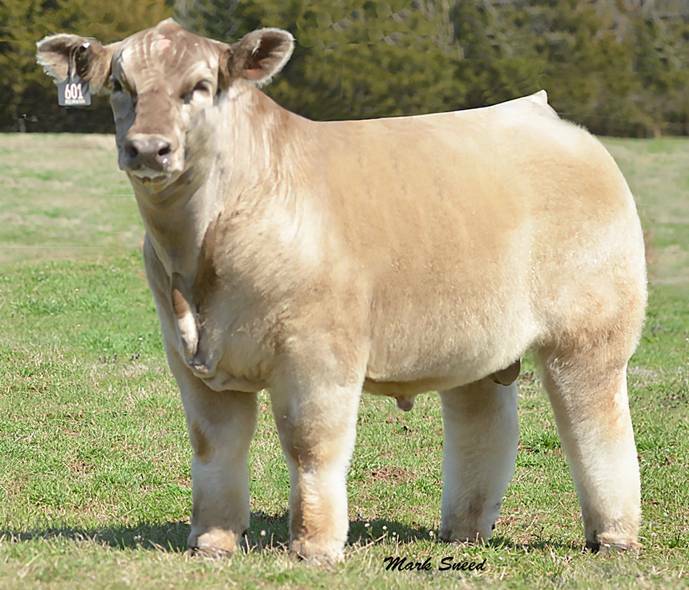 Coming from a double-clean donor dam, this bull does it with ease and class. He knows he is good. Monster sized in his middle, big topped, big boned, big footed, definitely the kind to create a legend. He looks awesome this winter and you will not find a sounder bull any place. The crew at the barn wanted to get a picture of him unclipped in his working clothes, as he is amazing. He’s more than hair---this bull has the power, the look, the design, and the soundness to be a changer across the board. He’s Nick’s kind, boys and we are damn proud to have a part of him. Coming from a double-clean donor dam, this bull does it with ease and class. He knows he is good. Monster sized in his middle, big topped, big boned, big footed, definitely the kind to create a legend. He looks awesome this winter and you will not find a sounder bull any place.